Choosing to spend your ski holiday, is a choice of family and cosiness above all. With its 80 kilometres of downhill slopes, admittedly, the terrain is discovered for the experienced skier with a day or two. Many families are well aware of such fact and is the motivating factor for choosing to spend their ski holiday at Buller Mountain. 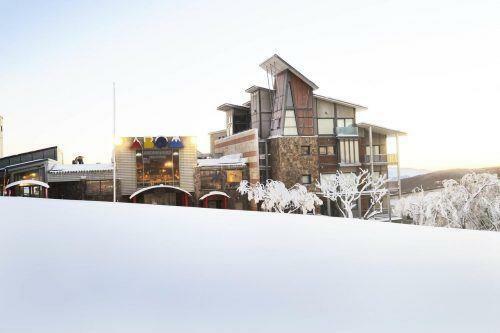 Learn more about Mount Buller further down on this page. Mount Buller is a popular ski resort, located in the state of Victoria. Mount Buller resort has over 740 acres of skiable terrain and from beginners to experts, the resort has something in store for every skill level. 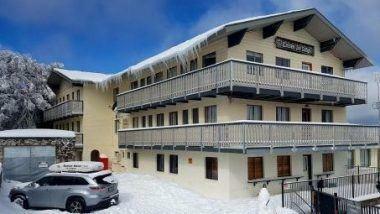 From the slopes and wide runs of the Bourke Street and Burnt Hut Spur all the way through to the black runs of Chamois. Bourke Street is an iconic slope, best suited for beginners. This slop is breathtaking, as it overlooks the wonderful village of Mt Buller. This is the perfect slope for practising your turns, once you have sufficient practice you can head up to the ABOM Express Chairlift that takes skiers to Baldy. For those who want some adventure and a challenge, head up to the top of the ABOM Express and ski your way through Spurs by following the signs to Spurs, which will take you to Brunt Hut Spur. Mount Buller has some challenging slopes for intermediate skiers. The blue terrains are ideal for intermediate skiers and snowboarders. To enjoy these views, take a trip towards Blue Bullet and head to the Shakey Knees past the Arlberg Hotel. The skiing experience at Mount Buller is reliable and consistent. The Little Buller Spur is easily accessed by travelling to the top of ABOM Express. This particular run is a wide and cruising slope that takes skiers to the Wombat Chair. The Wombat chair is a perfect alternative to Little Buller Spur. The South Side has many popular runs, including the Family run, the Summit, and the Standard. 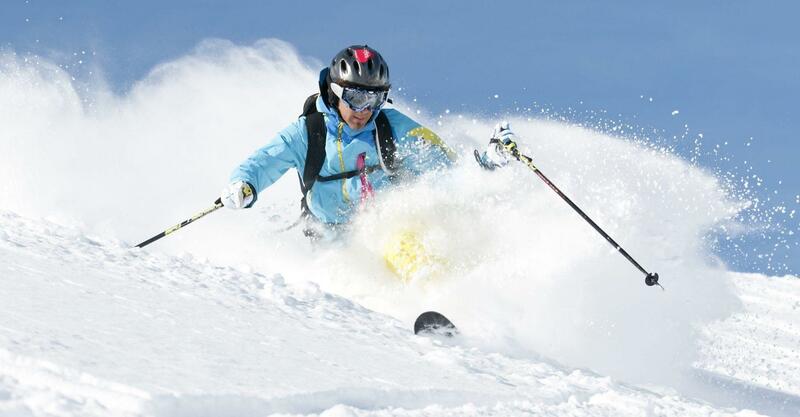 The Mount Buller Ski Resort challenges advanced black runs for expert skiers. The black runs invite expert skiers to test their skills, the South Side, in particular, has several black marked slopes. The most popular area on the South Side is the Federation, the Wombat Bowls, the Wood Run, the Bull Run and the Men’s and Women’s run. The fun and skiing in Mount Buller continues in the evening and just as the sunsets, the Twilight skiing sessions just begin. The Weekends are ideal for skiing or snowboarding. If you don’t want to ski anymore, go for tobogganing in the Snow Park located in the village. The terrain parks, in Mt. Buller, are customized for all sizes and expert levels. The smaller parks are for beginners and the wider larger parks are for experienced skiers. The terrain parks will add more life to your skiing adventure. Although the après ski in Australia is relatively different from the ones in European ski resorts, it does not have loud parties, but the resort still has a lot to offer, once the lifts close down. Here are some of the most popular après ski locations at Mt. Buller. For those looking for a party and a loud one, they should head straight to the Kooroora hotel. This one place is open until late, has fantastic live music, a loud DJ, and plenty of excitement. The best place to make new friends over the excellent selection of beer and wines. The Arlberg Bistro and Bar is another popular attraction for après ski. This bistro and bar have the best selection of beer, cocktails, wines, and champagne. The bar opens at 10 am. This place might be for the party lovers, but it’s a great place to unwind and enjoy a good meal with drinks. The Drakes Lounge bar offers a relaxing environment, an ideal location to relax and unwind after the adventures at the slopes and terrain parks. For a memorable and a unique experience in Mount Buller, it’s preferable to take the Australian Sled Dog Tour. The tours operate throughout the season, though they are subjected to snow and weather conditions. The tour also includes a meet and greet with the Huskies, this is one activity that children and dog lovers shouldn’t miss. While on tour, remember to bring your warm clothes, hats, snow boots, gloves, and camera. The prices of the tour depend on the length of the tour, the most expensive tour is the Powder Hound, and it costs around 700 AUD for a 3.5 hours trip. The Harnessed Dream Tour costs 430 AUD per person and the tour lasts about 1.5 hours. The shortest tour is the Mountain View Run, costing around 195 AUD per person, and there’s special news for a family of 4, they get a discounted 600 AUD for the trip. The Gnome tour is a self-guided tour that gives tourists, the view of the mystical world of gnomes. To take the tour, you need to download an app Mt Buller Walks, the app comes with its own audio tour, and it has a copy of the Mt Buller Gnome Roam Keepsake booklet. Take some time to relax from the rush of skiing in the unique Breath taker in high concept spa. The spa treatment is based on the ‘Quinta Essentia” concept. The treatment is composed of the four elements that include earth, water, fire, and air, combining them to create the fifth element “The Quinta Essentia”. 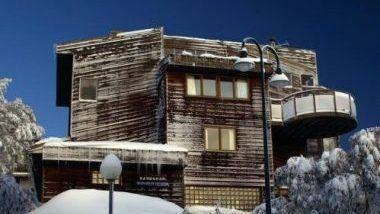 The spa is a great way to relax, rejuvenate and refresh yourself for another day at the slopes. Take a hike and learn about the history of the Mount Buller Village. This trip is a great chance to get a complete insight into the village, the heritage of Mount Buller and above all, this is a chance to view the glory and beauty of the Mount Buller. You don’t have to be a skier or a snowboarder to enjoy the scenic beauty of Mount Buller. All you need to do is jump onto the Northside Express Chairlift and enjoy a ride of breathtaking slopes across the Mount Buller. The chairlift takes tourists and skiers from the daycare park to the Spurs outlook. Tickets for the chairlift are available at any ticketing office and the Buller Sports outlet. The chairlift costs 12 euros for a return trip for Adults/Students/Children, and 20 euros for unlimited trips. For children, unlimited ticket costs €14. The helicopter tour is one of the best ways to explore mount Buller, Mount Stirling and the breathtaking and scenic landscapes of the High Country. Scenic helicopter flights operate on the following dates every season, depending on the weather conditions. Over the past few years, Mt. Buller is home to several sculptures arranged through different avenues. The sculptures include different pieces owned by the Grollo Family, some are donations from various benefactors, through the Mt. Buller Sculpture awards 2013, and others were acquired through the former mount Buller Easter Art Show. More sculptures are added to the park to promote the arts from Mt Buller. This tour will give you a glimpse of the Arts, as some of the pieces are truly inspiring. The Yeti snowshoe tours are a must-do activity for everyone in the family. Discover the resort from an entirely different perspective. The tours are able to cater to all abilities you can take a stroll through the majestic Snowgums or take a more challenging hike up the Summit. The tour includes a one-hour snowshoe tour with a snowshoe hire and a private guide. It costs $20 per person. A longer 1.5-hour Twilight Tour is another option for taking a partner along. Explore the beauty of the mountains in the twilight, watch the sunset and see the village light up in the dark clear skies. The tour costs €35 per person and it includes hot chocolate, a private guide and a 1.5-hour long tour with snowshoe hire. Last but not the least is the Tobogganing at Mt. Buller. The resort has two designated areas, one is located in the day car park, right next to Celia’s Kiosk. The second area is located next to the Alpine Central in the Village. The Twilight Sessions on the weekends are not to be missed, and the best time to visit is between July and August.